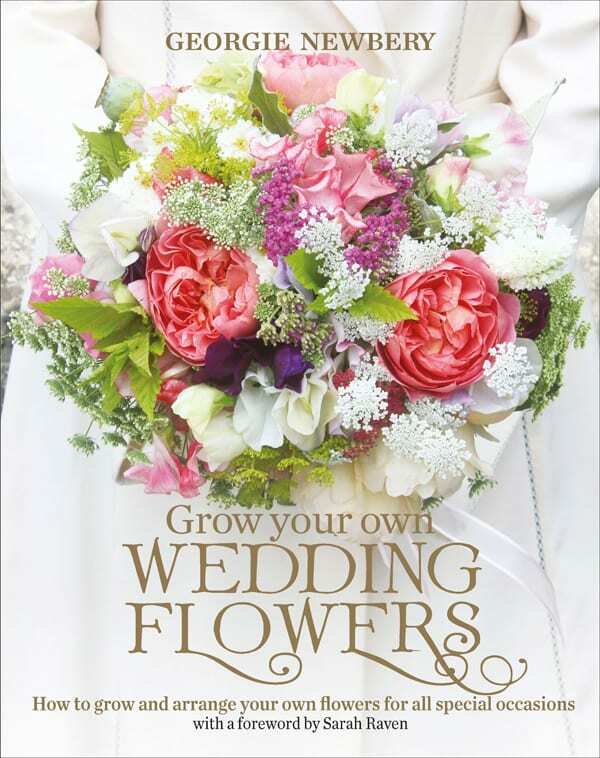 ‘How to grow your own Wedding Flowers’ is the latest book by Georgie Newbery of Common Farm Flowers. (You may have seen me mention it in my video on Saturday.) I recently attended the Book Launch and was delighted to receive a review copy. Having run workshops on how to grow your own wedding flowers, which have always sold out, flower grower and florist Georgie decided to ‘put pen to paper’. 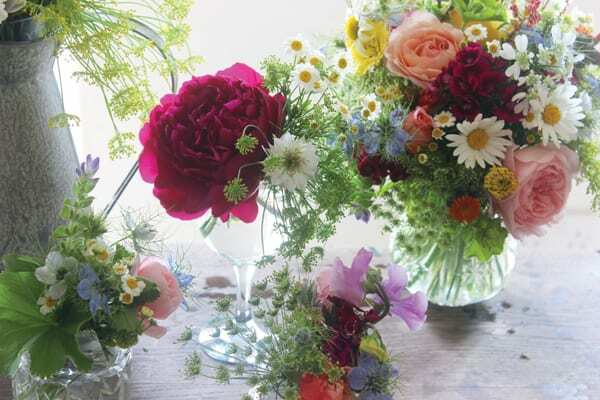 The result is a comprehensive guide to growing and arranging wedding flowers. 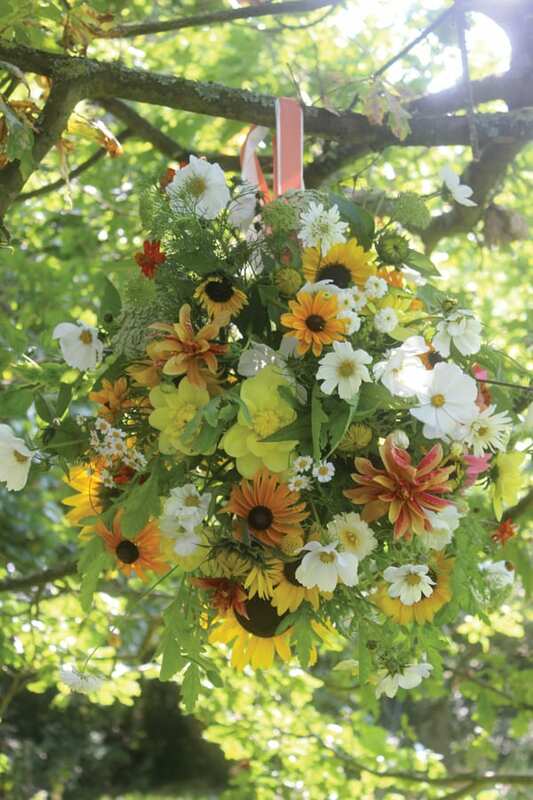 She very much wants people to be inspired and feel that they can grow their own wedding flowers. But at the same time, she wants the book to help manage people’s expectations. ‘How to grow your own Wedding Flowers’ is split into three main parts: Practical Matters, Planning for your Wedding and Wedding Floristry. In Practical Matters, Georgie looks at planning ahead, growing your flowers, cutting and conditioning. She gives you advice on how much to grow, what to plant, when to plant, choosing and buying seeds. There’s detailed information on ground preparation, sowing seeds, pests, feeding, weeding and staking…before moving on to lots of hints and tips about cutting and conditioning. She’s adamant that you need to have a watertight plan (to ensure that there are no last-minute panics) and recommends a spreadsheet, even providing an example showing a breakdown of the required stems of flowers and foliage for each design…from the bride’s bouquet and buttonholes to jam jar posies and pedestal arrangements. Plus, there’s a countdown of the tasks that need to be done on a Wednesday evening, Thursday evening, Friday and Saturday for a Saturday wedding. 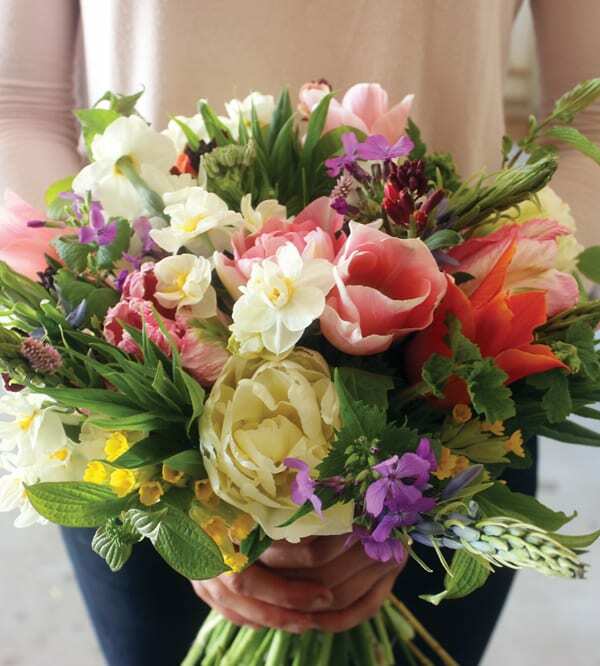 In the final part, Wedding Floristry, there’s guidance on how to make a hand-tied posy/bouquet, buttonhole/corsage, table centrepiece, garland, flower crown and fresh petal confetti. 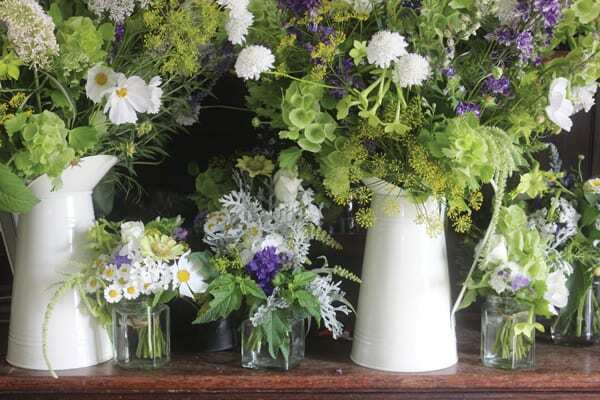 So if you’re thinking of growing your own wedding flowers (perhaps with help from your friends and family), you’ll find Georgie’s book, which is published by Green Books, indispensable. It’s also an ideal book for florists who grow flowers…which there are more and more of, these days! P.S. You may like to view my video featuring the Book Launch at Clifton Nurseries in London.